Offering premium apartments in the serene Northwest Hills of Austin, Texas. Once here, find quality upgraded finishes & spacious floor plans, custom amenities & quick access to major thoroughfares providing students, families & young professionals a great lifestyle. Only one block away, happy commuters will find their stops for the UT shuttle & Cap Metro bus and with HEB & CVS right down the street, our residents find errands are a breeze. 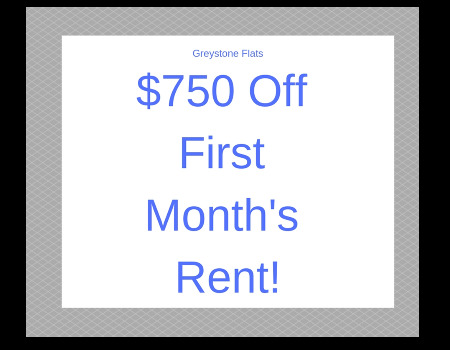 Come tour for yourself and see why Greystone Flats Apartments is a perfect choice.